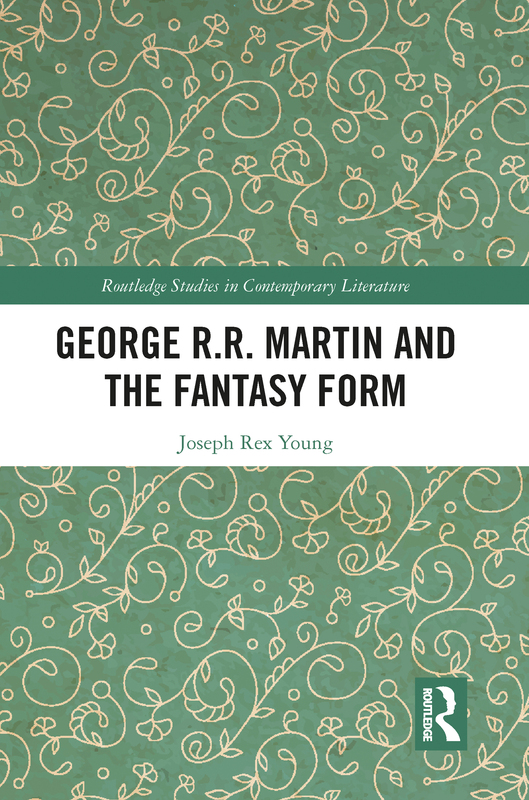 Using the frameworks of literary theory relevant to modern fantasy, Dr. Joseph Young undertakes a compelling examination of George R. R. Martin’s A Song of Ice and Fire and his employment of the structural demands and thematic aptitudes of his chosen genre. Examining Martin’s approaches to his obligations and licenses as a fantasist, Young persuasively argues that the power of A Song of Ice and Fire derives not from Martin’s abandonment of genre convention, as is sometimes asserted, but from his ability to employ those conventions in ways that further, rather than constrain, his authorial program. Written in clear and accessible prose, George R. R. Martin and the Fantasy Form is a timely work which encourages a reassessment of Martin and his approach to his most famous novels. This is an important work for both students and critics of Martin’s work and argues for a reading of A Song of Ice and Fire as a wide-ranging example of what modern fantasy can accomplish when employed with an eye to its capabilities and purpose.